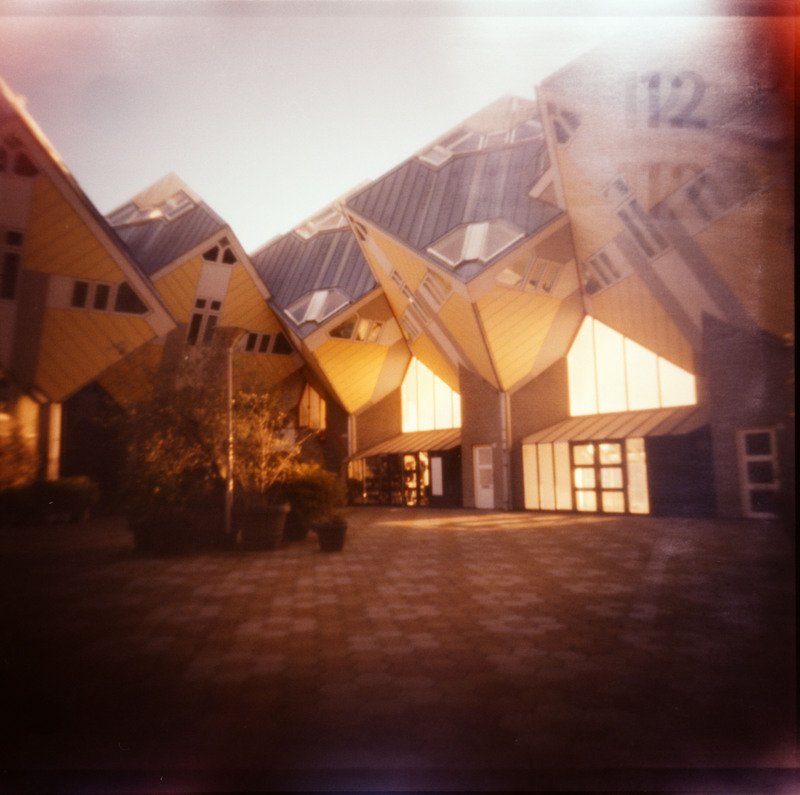 Both my birth place Helmond and my current hometown Rotterdam have an urban forest, also known as the cube houses. They were designed by architect Piet Blom. His idea was that people should live in houses built on poles. so that the rest of the space (on the floor) could be used by anyone as open space. The first houses were built in Helmond in 1974 and 1975, in a bunch of three houses. 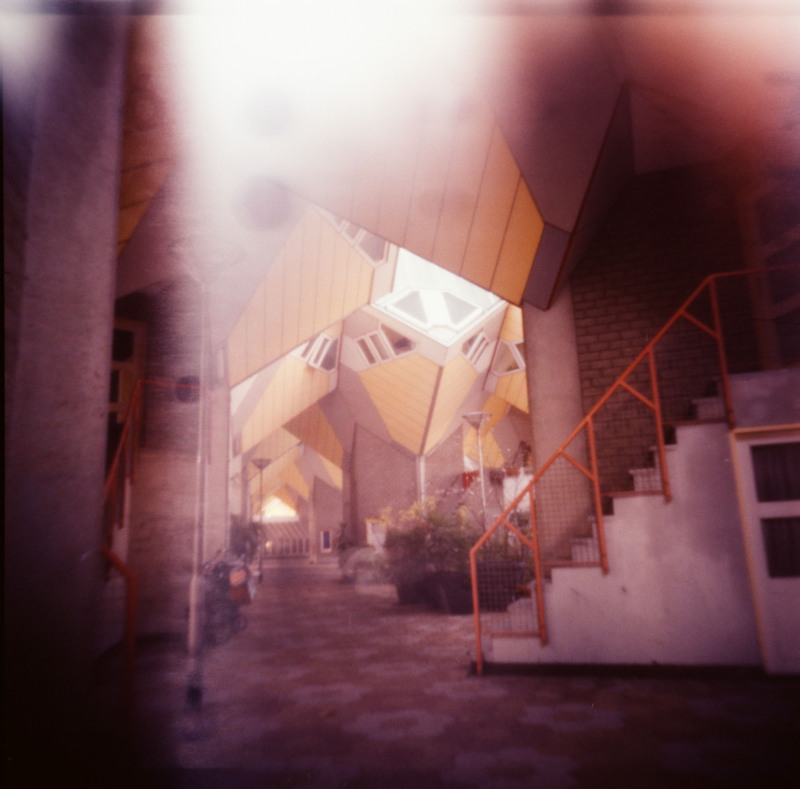 After that, Blom built a forest in Helmond, consisting of 18 cube houses, and 37 cubes that together form a theater called Het Speelhuis (The Playhouse). Unfortunately Het Speelhuis burned down to the ground in december 2011. It will not be rebuilt. The houses survived the fire. 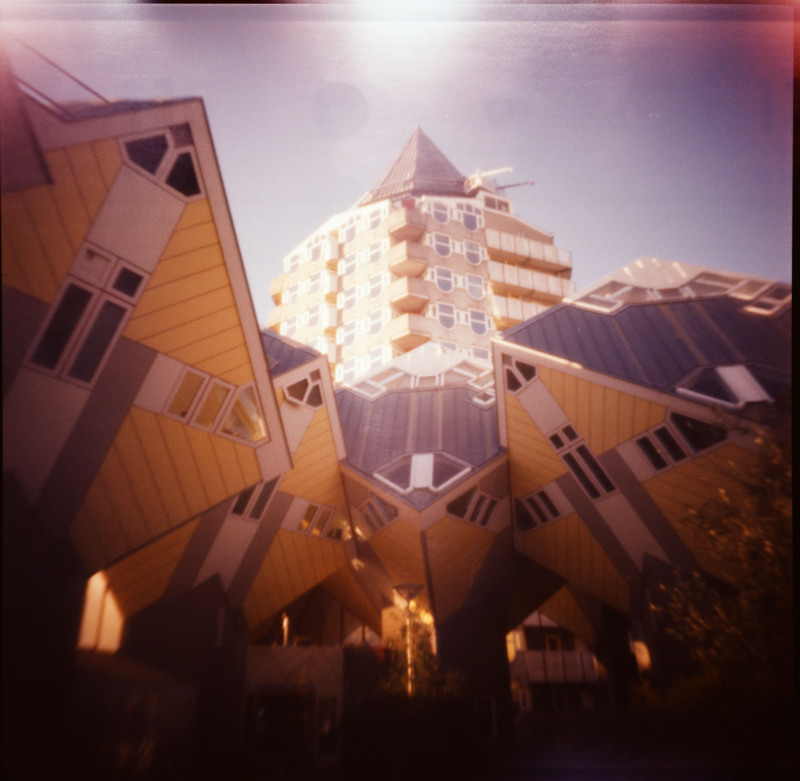 The 38 cube houses in Rotterdam were built between 1982 and 1984. One of them is transformed into a model mansion/museum which you can visit. It gives an impression of what it is like living in a cube house. Some of the other cubes together form a Stayokay hotel (hostel). On one side of the urban forest is the Oude Haven (Old Harbour) with several restaurants and bars. On the other side is the market square which leads into the city center. That is one of the coolest things I have ever seen! I want to live in a cube house!! I totally want to see that! I agree with Moni, these are absolutely fantastic!! !